NanoOnSpect project, funded by the European Union within the 7th Framework Program in which AIMPLAS participates, has developed an online control process in nano-composites manufacturing that can reduce costs and quality rejects. 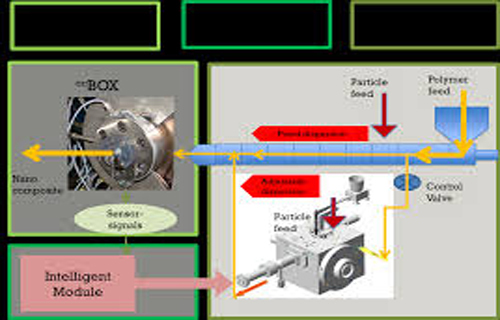 The equipment, named as onBOX, allows acting in real time on the process and optimizing the material properties without the necessity of conventional in parallel characterizations, which until now has been a trial & error process. Therefore, it is able to reduce time and resources, in particular the high costs of nano-particles consumed during the trial process, said AIMPLAS, the Plastics Technology Center located in Valencia, Spain. The sensors development based on different technologies, such as ultrasounds, infrareds, different spectrophotometric, electrical and thermal techniques, etc. are integrated in a single unit. Adjustments of the composite properties can be done in industrial conditions through different sensors that control several properties as a consequence of nanoparticle dispersion, explained AIMPLAS. As said, it can also be used in the procurement of other type of composites.